Love flowers, but has allergies? Love the garden but can’t work outdoors. This CAL is definitely for you! Join Us In Our Upcoming Summer CAL. Peacock In Blooms. 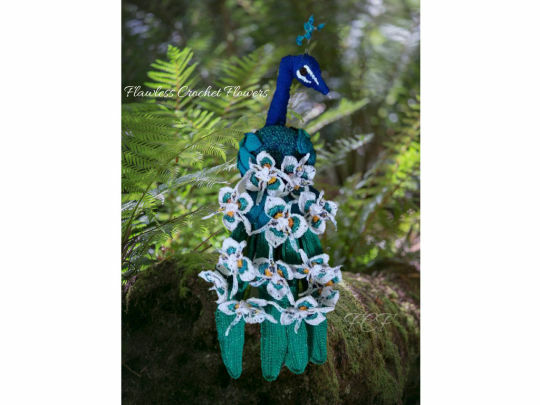 Create a beautiful and EASY peacock garden that can sit beautifully on a birdbath. This is one crochet along you don’t want to be left out of! Enough of those ordinary projects! Join me on this fun-packed, trendsetting journey, as we whip up a fabulous peacock garden…. In less time than it takes you to finish that beautiful multi-stitch blanket. Join Here!